I can't believe how long the Klean Kanteen kept my drink hot. I never knew the luxury of having a hot cup of tea or coffee until I had my baby, and now my Klean Kanteen let's me do just that. 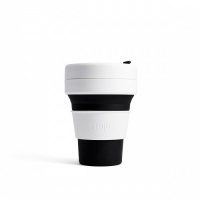 It's very portable and cuts down on takeaway cup waste. I bought one for myself and my mam and will probably buy one for the rest of my family soon. I highly recommend this product.